Ending the Bank Holiday Weekend in style, Liverpool Calling revealed the second wave of acts set to perform at the festival. Liverpool Calling returns on June 22nd to June 23rd. With an already stacked line-up, Liverpool Calling made a statement of intent after two years away. Now the organisers have revealed a further 24 acts will be heading to the Baltic Triangle at the end of June. While taking over the Baltic Triangle, the festival is running for an extra day, giving festival-goers more value for their money. 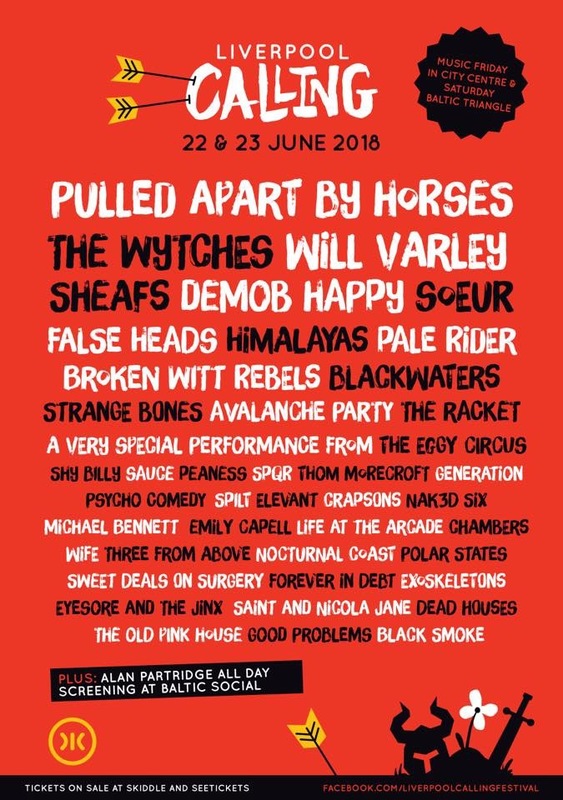 The first announcement confirmed that Pulled Apart By Horses, The Wytches, Sheaf, Will Varley are all on the line-up. Now added to the party, Geordies Demob Happy, along with False Heads are set to perform. Tipped to be big by BBC Introducing and fresh off an appearance at SXSW festival in Austin, Texas, Himalayas are heading back to Liverpool. Shining a light on the thriving music scene in the city, Liverpool Calling have added a host of local talent to the line-up. Psycho Comedy, The Racket, Three From Above and Pale Rider to name a few will be representing Liverpool. SPQR, Peaness, The Jackobins and Life At The Arcade were unveiled in the first announcement. Moving from it’s previous home of the Bombed Out Church, Liverpool Calling hits the Baltic Triangle, following in the footsteps of Sound City. That’s not all as they take over the heart of the city, with performances happening in EBGBS, The Jacaranda and Studio 2. There’s still more acts to be announced, along with the day splits. Tickets are on sale now for just £20, giving you access to all venues across the weekend. You can get yours via See Tickets and Skiddle. Check out the latest line-up poster below. 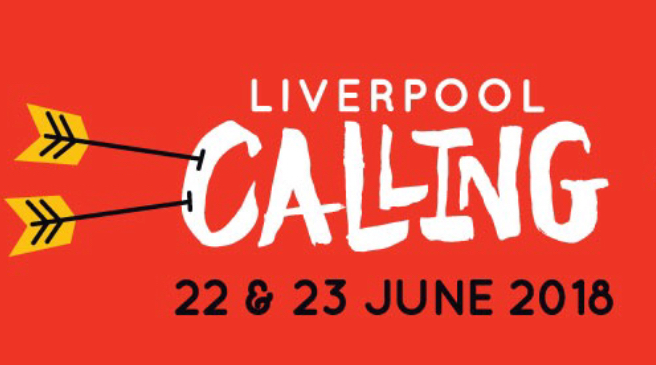 Liverpool Calling takes place from June 22nd to 23rd.